IMMERSION The saying goes: out with the old, in with the new. 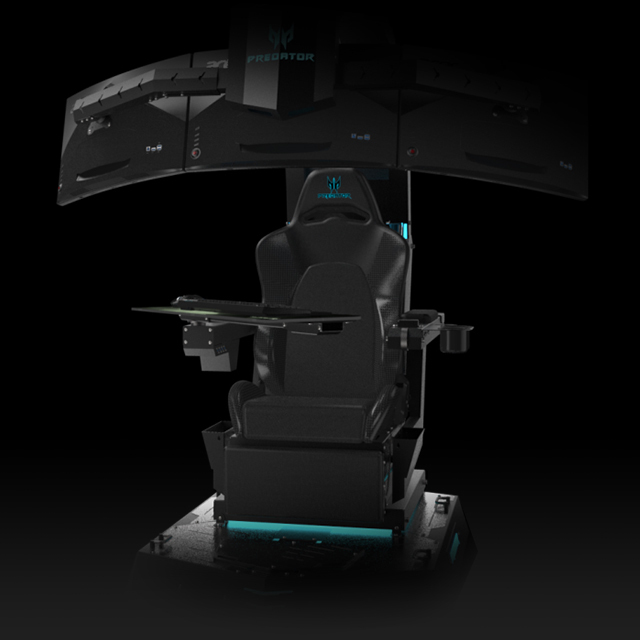 For the custom-engineered Thronos, this means putting you where the action is: right in the motorised cockpit. So take a seat, enjoy some in-your-face gaming and immerse yourself in the cosy confines of its mechanised cocoon-like cabin. Your Thronos awaits. Use the Control Pad to lower the Scorpion Arch and surround yourself with an all-consuming panoramic view. 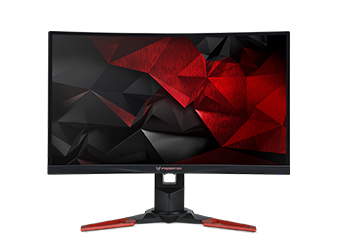 Three curved Predator displays dish out fast, fluid frames that envelop you with their vision-filling embrace. 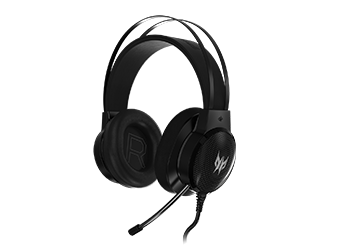 Feel the in-game sound through bass-driven vibrations, whether it's the snap of a branch or a rocket fired at a demonic horde. At long last, fulfil the dream of becoming an astronaut and blasting off into space. 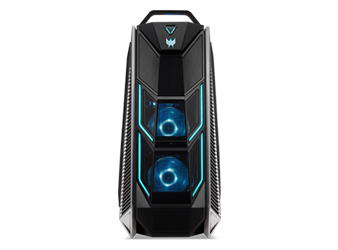 Reclinable up to 140°, the Predator Thronos is ready for lift off. We want you to be comfy in the steel-framed cabin, so we've added a padded chair, motorised footrest and adjustable pedal to see to all your needs. A customised Predator mousepad spans the length of the mechanised keyboard tray, which now acts as the haven for your Predator keyboard and mouse. DESIGN Thronos defines itself with cold, black metal shaped into a hardened exterior. 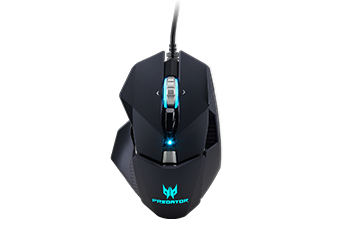 Iconic cut-outs along the entire body reveal a chilly RGB glow, lighting up the darkened shell of the machine. Sixteen colours and four modes to choose from. 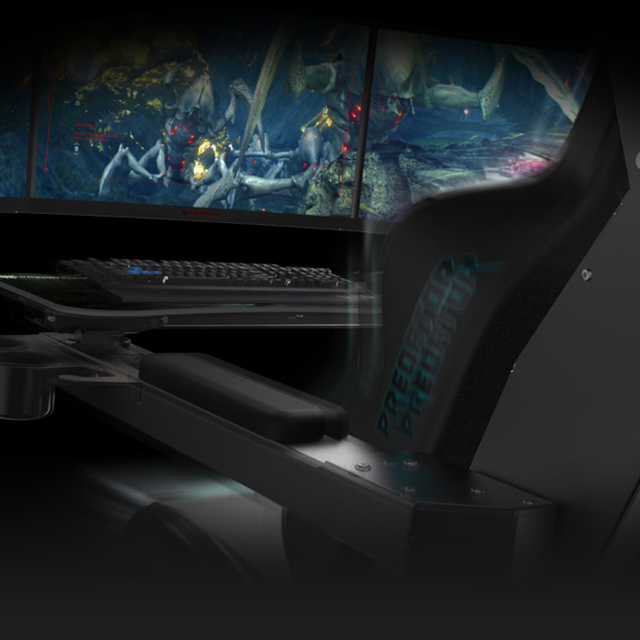 The goliath of gaming chairs integrates all Predator hardware in a single, centralised nexus for a full-on immersive experience. 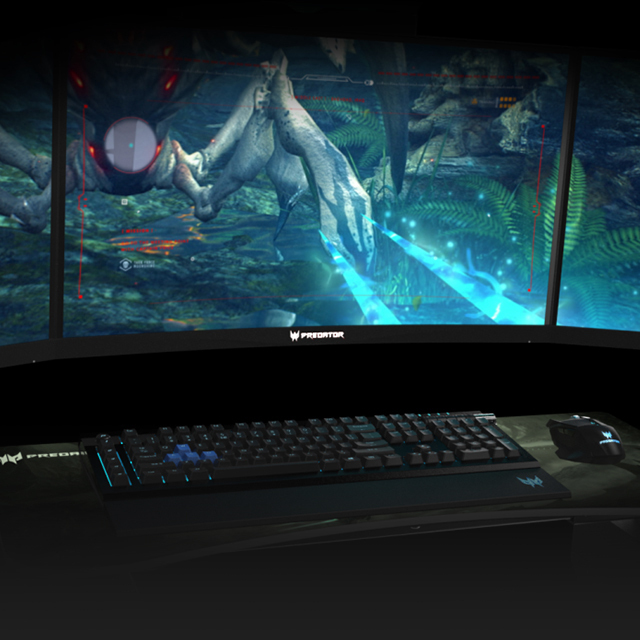 Take in the view of three Predator Z271U displays and the empowering performance of 8th Gen Intel® Core™ processors and GeForce RTX™ graphics via our Orion desktops. Our Orion desktops deliver extreme performance with the latest Intel® processors and NVIDIA® graphics. May your gaming be godlike and tear-free. 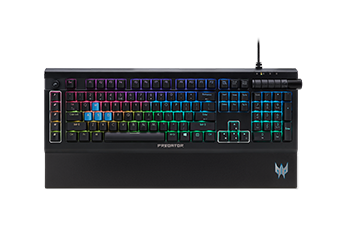 The Aethon 500 mechanical keyboard features full N-key rollover, 16.8M RGB individualised backlighting and easy-access media controls with volume knob.